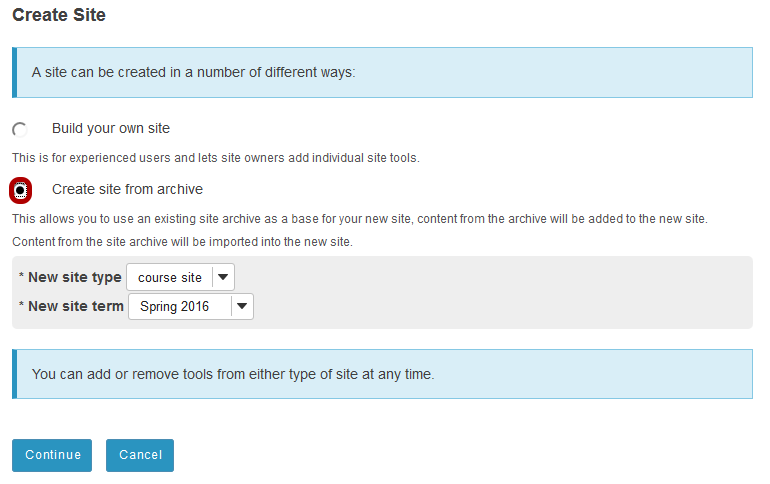 Sakai Community DocumentationSakai 11 - EnglishSakai 11 Administrator Guide Site ArchiveHow do I import an individual site archive? 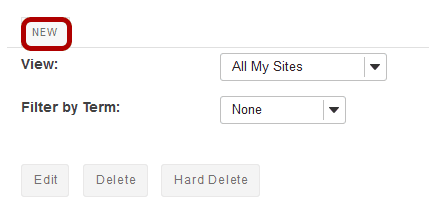 Prev: How do I download archive files? 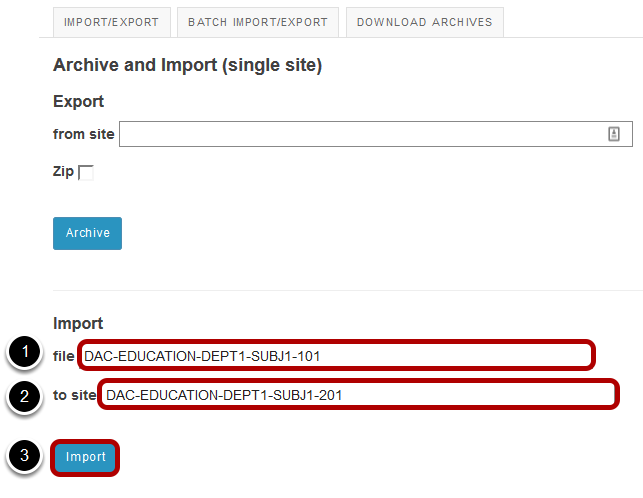 Next: How do I batch import multiple site archives?